Search for and select the resource group for the VM, choose Add, then search for and select Network security group. The Create network security group window opens. Enter a name for your network security group. Select or create a resource group, then select a location. 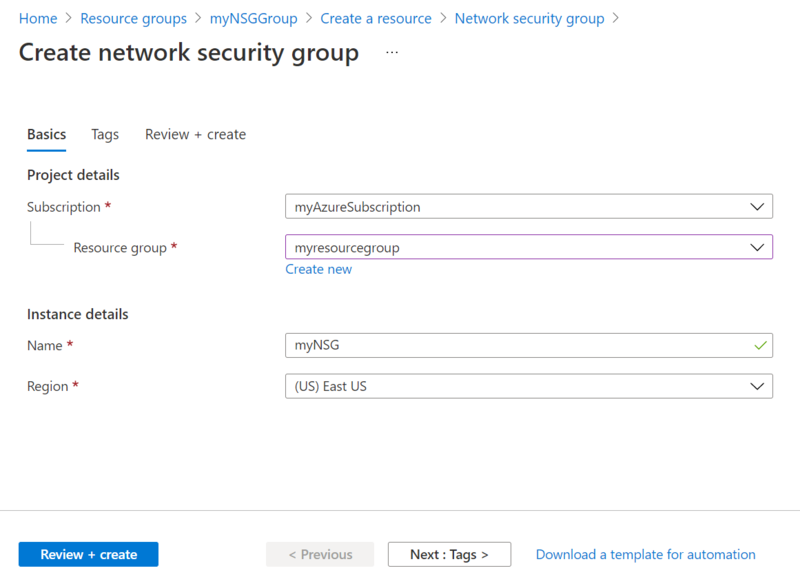 Select Create to create the network security group. Select your new network security group. 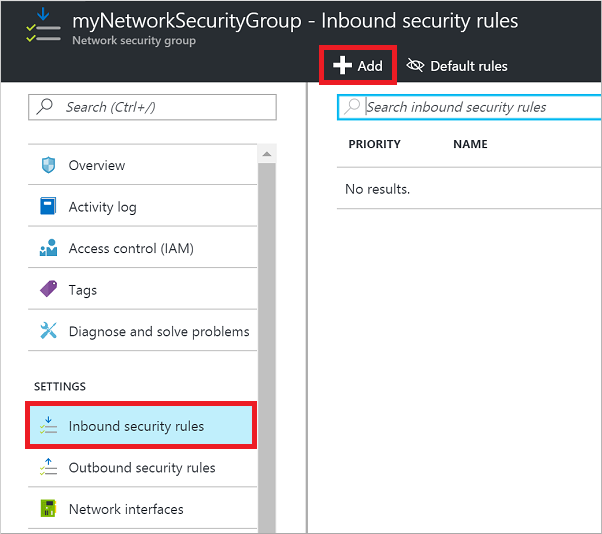 Select Inbound security rules, then select Add. Choose a common Service from the drop-down menu, such as HTTP. You can also select Custom if you want to provide a specific port to use. Optionally, change the Priority or Name. The priority affects the order in which rules are applied: the lower the numerical value, the earlier the rule is applied. Select Add to create the rule. Your final step is to associate your network security group with a subnet or a specific network interface. For this example, we'll associate the network security group with a subnet. 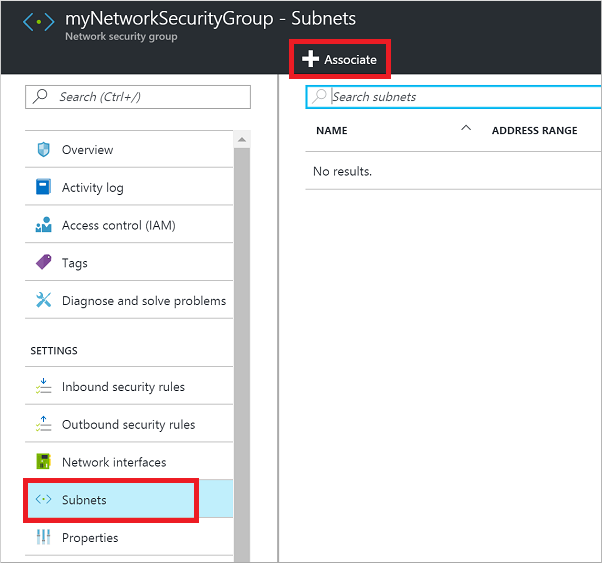 Select Subnets, then select Associate. Select your virtual network, and then select the appropriate subnet. 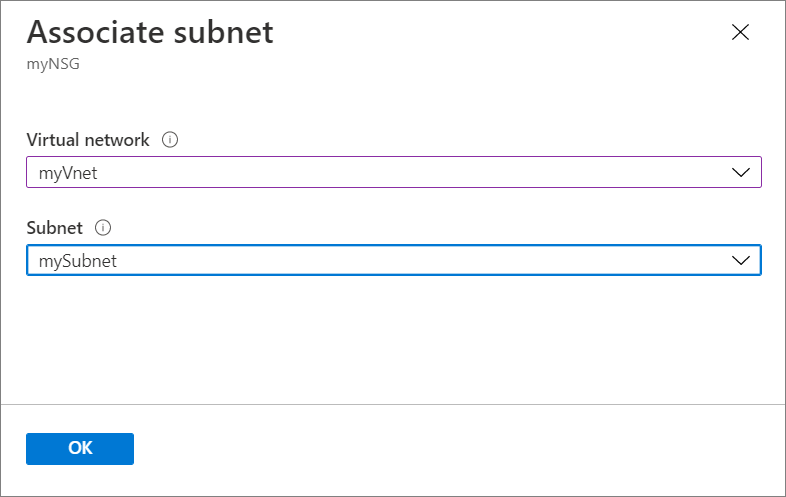 Any VMs you connect to that subnet are now reachable on port 80. You can also perform the steps in this article by using Azure PowerShell. The commands described in this article allow you to quickly get traffic flowing to your VM. Network security groups provide many great features and granularity for controlling access to your resources. For more information, see Filter network traffic with a network security group. For highly available web applications, consider placing your VMs behind an Azure load balancer. The load balancer distributes traffic to VMs, with a network security group that provides traffic filtering. For more information, see Load balance Windows virtual machines in Azure to create a highly available application. In this article, you created a network security group, created an inbound rule that allows HTTP traffic on port 80, and then associated that rule with a subnet.